Nimble is a CRM software that works directly with Office 365 and G Suite inbox. 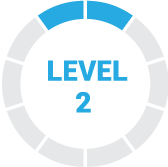 Its features include sales intelligence, pipeline management, analytics, social prospecting, and more. In this article, we cover Nimble reviews and pricing. Ready to get started? Get a free trial. Users who gave Nimble a positive review said that it has an efficient contact and email management system. They also added that the customer support team is responsive and knowledgeable on how to troubleshoot the problems they encountered. Users who gave Nimble a negative review said that it lacks a comprehensive reporting structure when it comes to analyzing email open rates, funnels, and other sales campaigns. They also added that it lacks a dashboard or panel to view all tags. Nimble pricing has a single subscription option: $25/month, billed monthly or $19/month, billed annually. This plan includes 2 GB/user, 100 group messages/user/day, unlimited email templates, 1,000 custom fields, as well as key features such as unified message inbox, deal pipeline management, sales forecasts, and more. 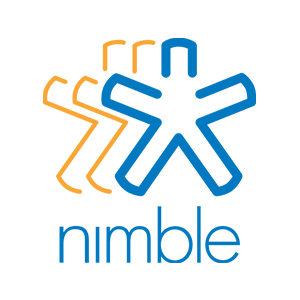 Ready to get started with Nimble? Get a free trial. Can Nimble help users build customer and client profiles? Yes. Nimble’s Prospector feature uses artificial intelligence to automatically discover prospects’ email addresses, phone numbers, and address details. How does Nimble provide its users with relevant business insights? Nimble provides relevant business insights by compiling and producing business and sales intelligence about their prospective companies. This includes data about the company’s size, location, revenue, and other helpful details that are useful in identifying which contacts and companies are strategic to connect with. Support! The Nimble support team is fantastic! Key features: email tracking, access to social networks and creation of a destination profile. Nimble is just a great sales tool. It took me a few minutes to find the email templates, but that was it. It’s super, super easy to understand, fun to use and intelligent software. So many integrations! Sometimes, the expanded edition fields are not as easy to use as I would like, although there is a new feature that I am excited to try soon to enter data from a new client that can solve my problem. The interface of the dashboard is the best of any CRM I have worked with. I like seeing the most recent deals and most recent contacts when you are pulled up on the dashboard. A lot of people do not know about Nimble but I think its data management and email tracking stack up to any other CRM on the market. I think the vibrant dashboard makes the user friendly experience something that translates to quality management of key customers. The system is organized and you do not tend to get lost in the small details with contacts. The pipeline interface is very easy to follow, but I wish there was a running list of closed accounts that appeared on the page. I want to see the history of closed deals. I wish Nimble could do more success story features in their webinars. I feel we get a lot of tips from people inside Nimble but I would like to hear back from Nimble Users who have found a way to make the best of the CRM. Get involved in the CRM special features that Nimble offers. Not just the basic management options. Not only does it make it very easy for me to find and add contacts, but I love the emails I receive each time there are engagement opportunities for my brand. It’s really easy for my team to check and see if someone has already been contacted and to see the history of contact, I have never used Salesforce before, but I assume this is a similar tool to salesforce, but geared more towards someone like me who isn’t looking to necessarily make sales, but keep track of communications. Honestly, I don’t have any problems with it! I think it’s a super helpful CRM and it’s perfect for exactly what I need and use it for. Managing our experts (contacts) and keeping tabs on communication. It’s very easy with Nimble. we love the ability of Nimble to connect universally the different platforms with which we work daily in email. We like the tagging and saved search capability that integrates seamlessly with our 366 Degress marketing platform. LinkedIn integration is not as strong as it was before. The nimble application for Android lacks the equivalent features of iOS. The aspect of deal management is very weak. Nimble has allowed me to combine my commercial and private contacts in a single system, I can run groups using tags and this generates a considerable time saving because I use the unique characteristics of the system.